On April 3 we will join our public health colleagues across the nation to kick off National Public Health Week (April 3-9). This week is a time to celebrate the impact public health has made on our country and state. We hope that you will join us at one of the events below to join the celebration. For more information, please reply to this email or contact Amanda Briggs. Dr. Yiqing Song was officially appointed by the NIH Center for Scientific Review (CSR) as a regular member on the NIH Study Section of Cancer, Heart, and Sleep Epidemiology Panel A (CHSA) on March 24, 2017. Dr. Song will serve a four-year term from 2017 to 2021. Dr. Song will attend study section meetings three times per year and review grant proposals on epidemiologic research in the areas of cancer, cardiovascular disease, and sleep conditions in human populations. Dr. Yiqing Song was invited to serve as an ad hoc member of the Integrative Nutrition and Molecular Endocrinology Special Emphasis Panel (ZRG1 EMNR-F(02)). This section evaluates applications on basic and clinical researches of endocrinology, metabolism, and nutrition to understand interactions of metabolic processes and their influence on disease. Dr. Song joined the panel to review and discuss three R01 and one R15 grant proposals on March 29, 2017. Dr. Lacey became a member of the Yuma Pacific Southwest section of the American Industrial Hygiene Association. While there are dozens of AIHA local sections across the country, membership to the Yuma Pacific section comes by invitation. "The Yuma Pacific section has a rich history of leaders in the profession, and is largely comprised of past association presidents, former Assistant Secretaries of Labor, and the like. This is a real honor," said Dr. Lacey. HPM Professor Ross Silverman led a half-day poverty simulation for students from the Fairbanks School of Public Health and McKinney Law School. They partnered with Community Health Network and volunteers from the Indiana Health Advocacy Coalition. The William M. Plater Civic Engagement Medallion honors students who have excelled in their commitment to community through various activities. Congratulations Lindsey on this honor! 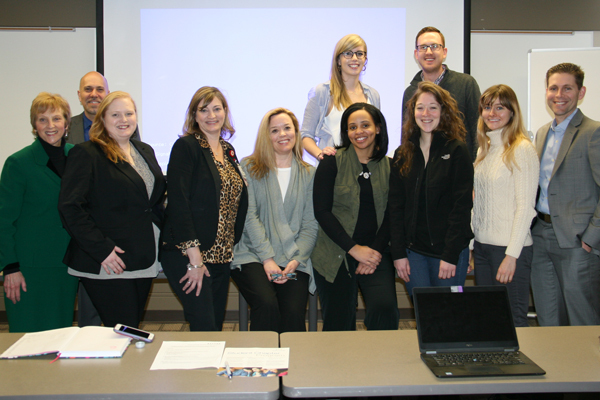 The AcademyHealth Student Chapter at IUPUI held its kickoff meeting on March 23, facilitated by president and co-founder Nate Apathy, a health policy and management PhD student. Apathy and co-founders Elizabeth Golembiewski, Liz Linden, and Audrey Hopper established the chapter as a partnership between the Richard M. Fairbanks School of Public Health and the School of Nursing. Dr. Chris Harle, HPM PhD Program Director, and Dr. Sharron Crowder of the School of Nursing will serve as faculty advisors. 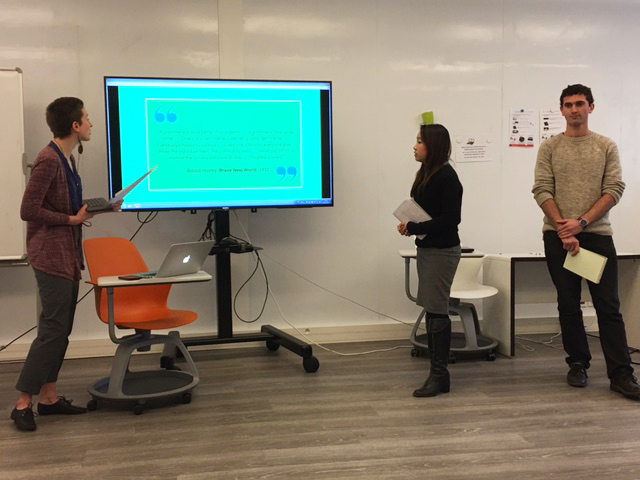 The AcademyHealth chapter will provide students interested in health services, healthcare management and health policy research with a connection to the leading health services research professional organization. The chapter promotes multidisciplinary collaboration, enhanced learning, professional development, and service opportunities for students. Academy Health is the professional home and leading national organization for health services researchers and policymakers. Together, with its members, AcademyHealth works to improve the health and the performance of the health system by supporting the production and use of evidence to inform policy and practice. If you are interested in joining the IUPUI AcademyHealth chapter, please contact Nate Apathy or sign-up through the Den. The ILCE Office sponsors monthly Critical Conversations where participants can engage in a timely issue over the lunch hour. These Critical Conversations provide informal collegial space to dialogue about issues of social justice, equity and inclusion and are open to IUPUI faculty, staff, students and the Indianapolis community. More information about the ILCE Office can be viewed here.